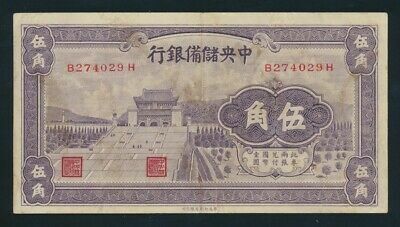 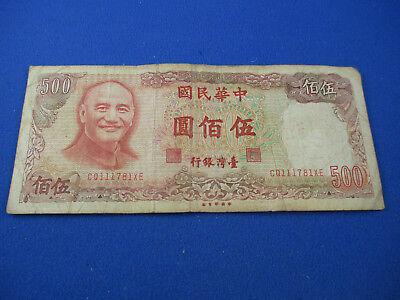 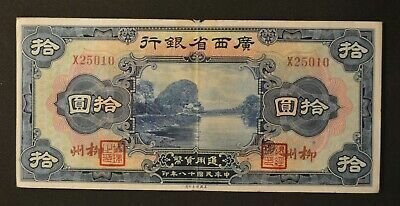 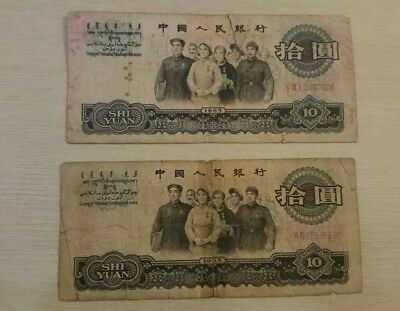 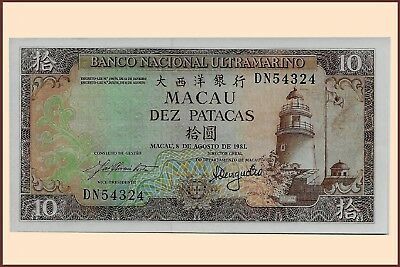 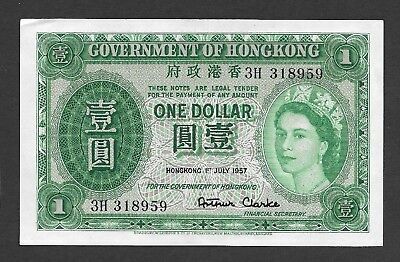 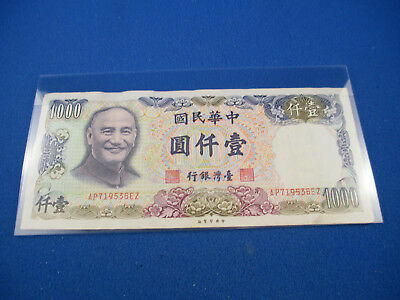 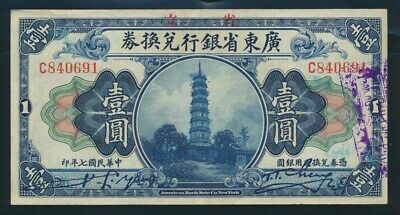 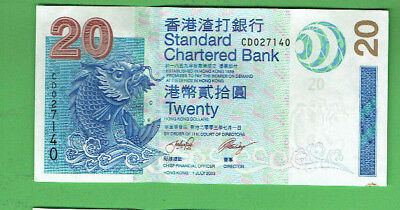 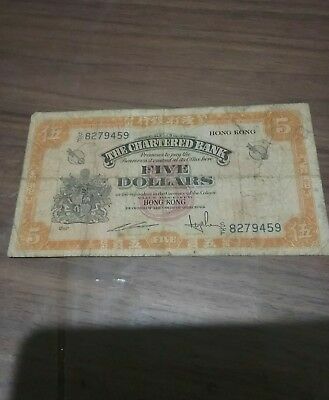 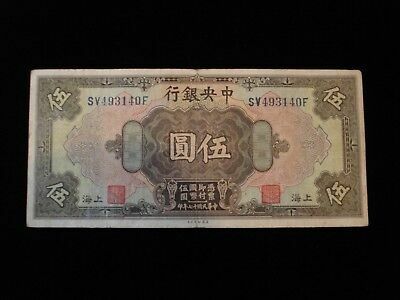 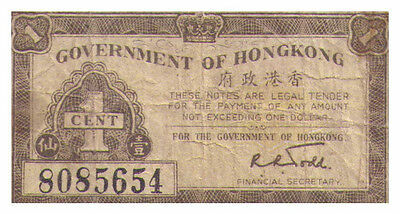 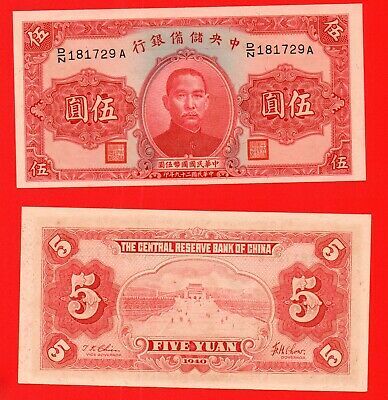 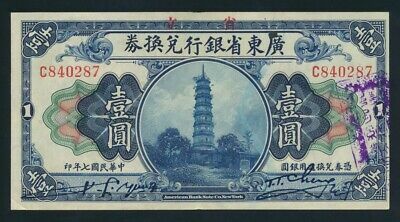 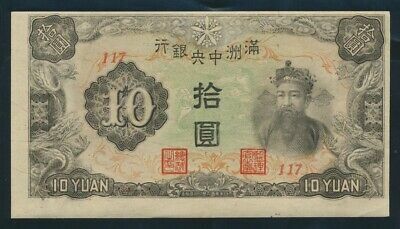 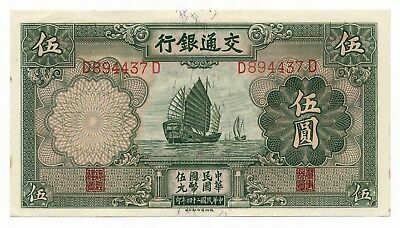 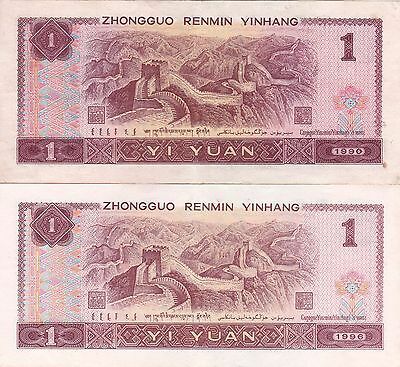 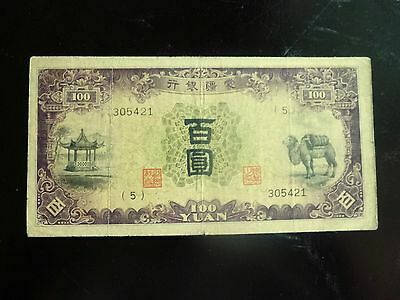 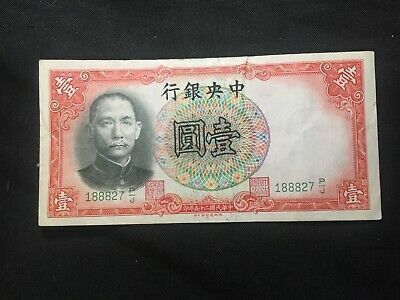 Banknote 1941 China 100 yuan.circ. 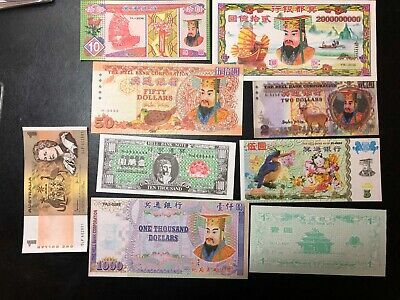 Lot of 11 Chinese Hell Banknotes ..Temple Money...Mixed lot. 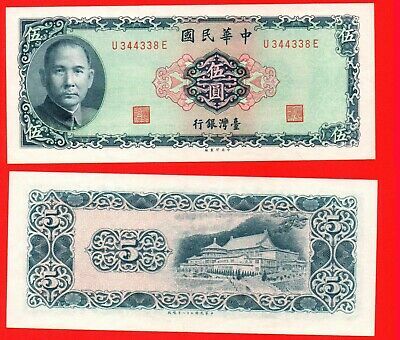 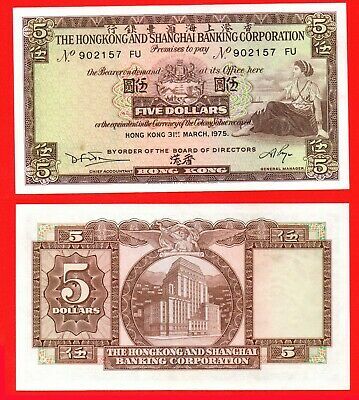 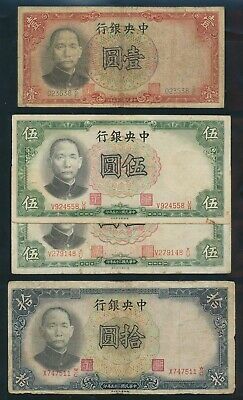 China: TAIWAN 1951 5 Dollars Lottery Tickets "SCARCE SET OF 3 DIFF SERIES"
CHINA ¥0.50 aUnc Banknote + ¥0.50 Coin XF-aU = ¥1 Great Buy!! 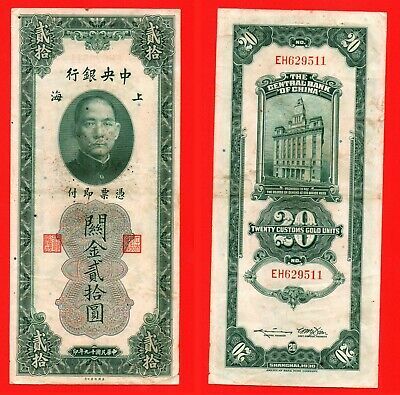 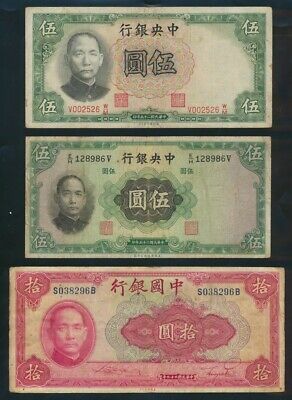 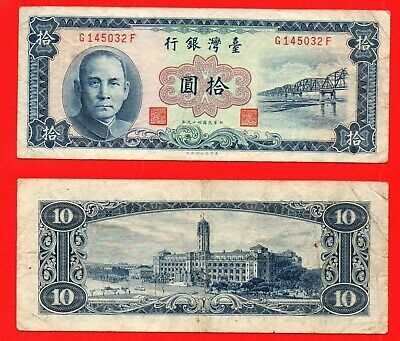 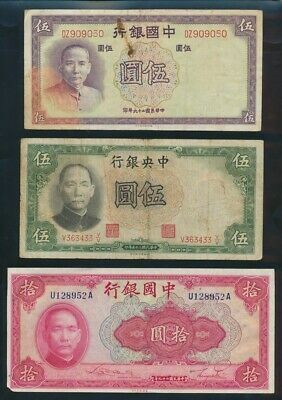 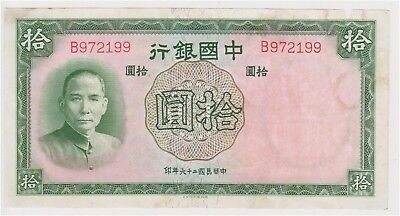 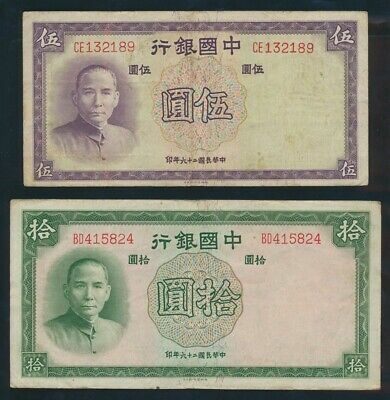 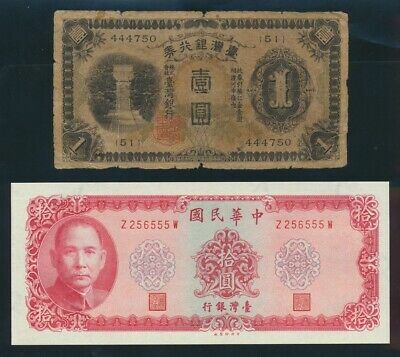 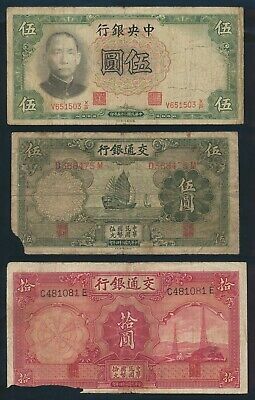 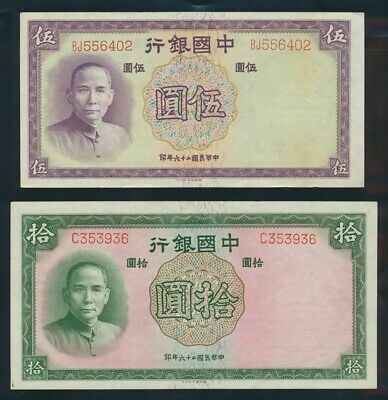 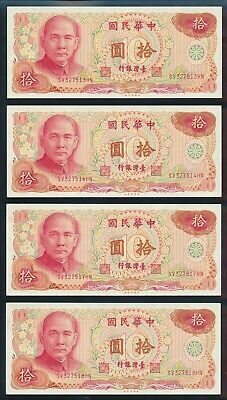 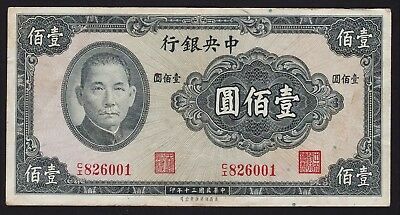 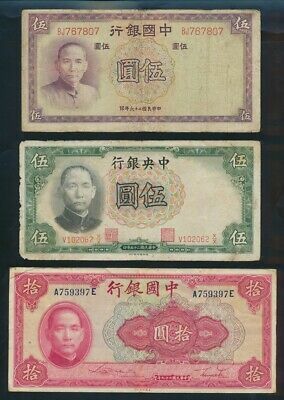 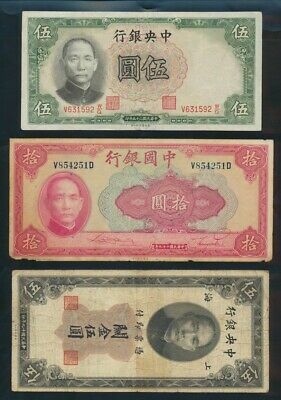 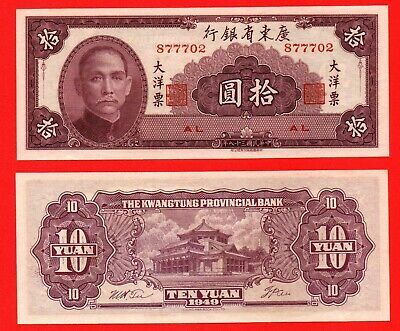 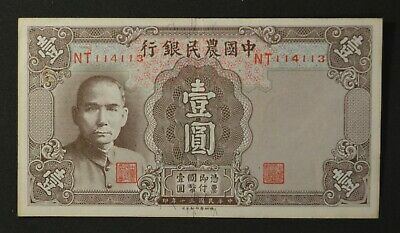 China: TAIWAN 1960-2001 Lot of 4 Different "SUN YAT-SEN PORTRAIT NOTES"
China: JAPANESE OCCUPATION WWII 1936 Lien Hwa Leaf Tobacco "SCARCE $230 CHEQUE"
CHINA ¥1 x 2 Different Yr 1990 & 1996 XF condition / V SCARCE ! 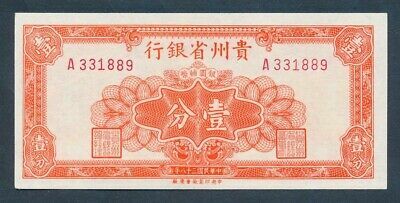 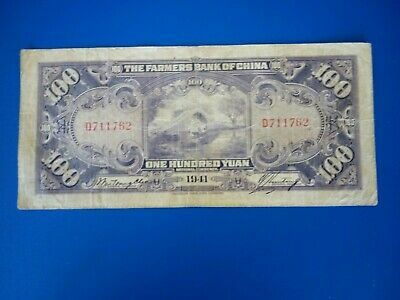 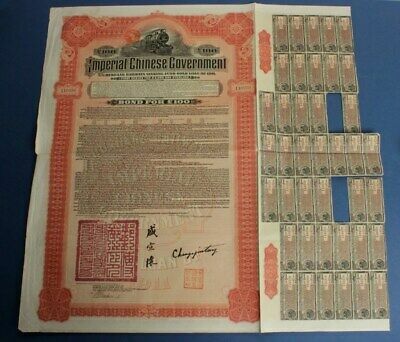 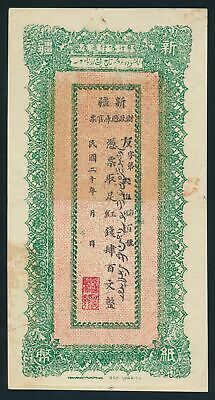 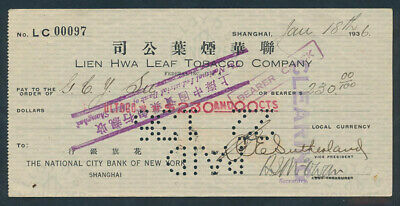 Imperial China: 1911 £100 Hukuang Railway Bonds RARE! 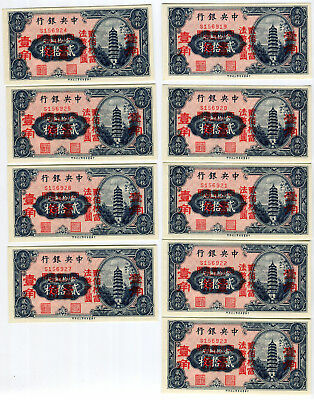 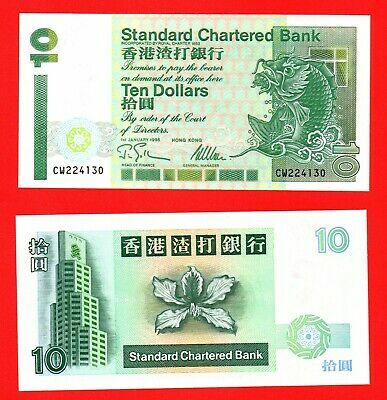 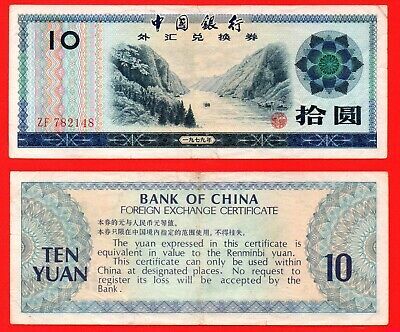 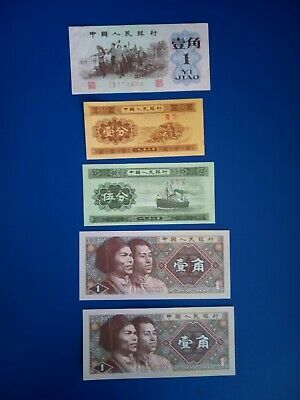 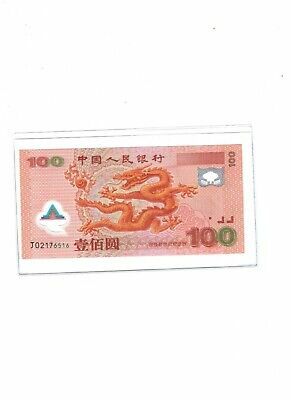 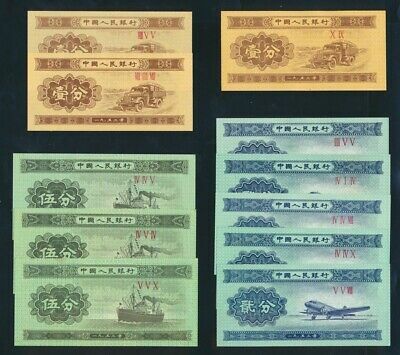 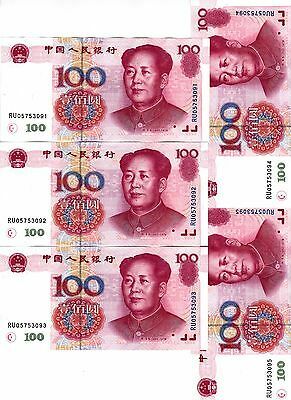 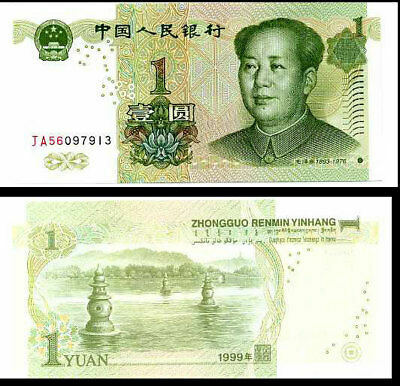 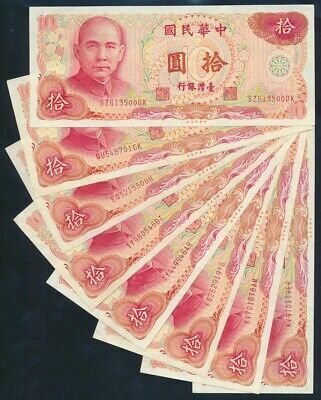 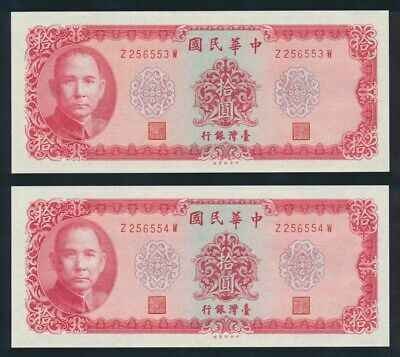 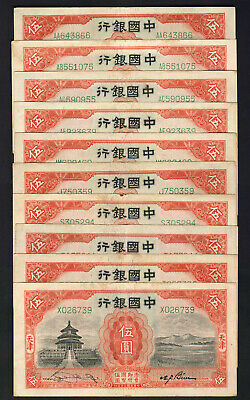 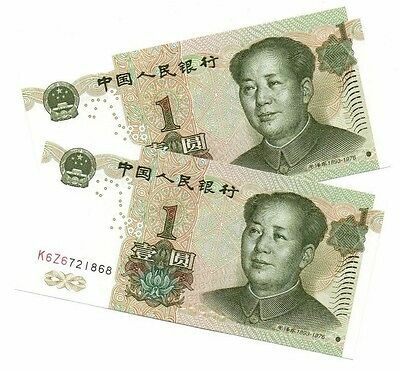 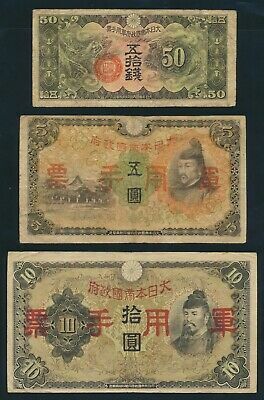 CHINA ¥¥¥¥¥100 x 5 Cons (1999) 1st Issue Uncirculated Rare set! 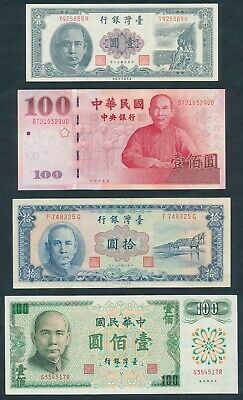 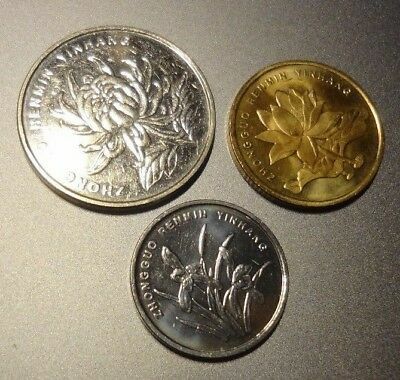 CHINA Coins ¥0.10, 0.50 & 1.00 Circulated, XF cond Cheap! 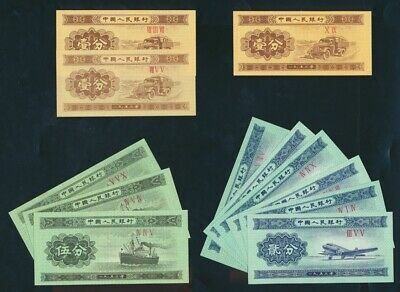 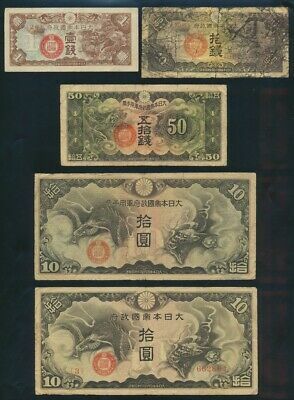 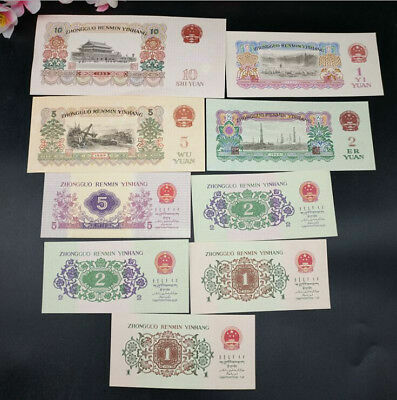 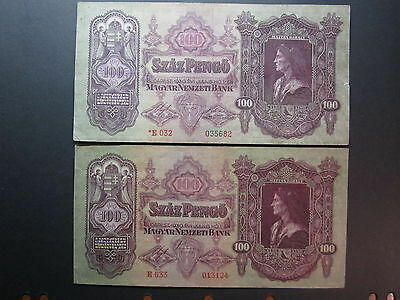 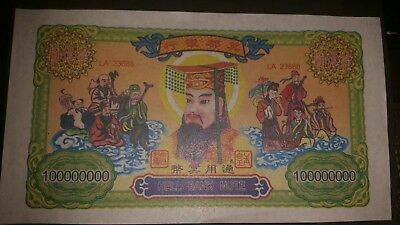 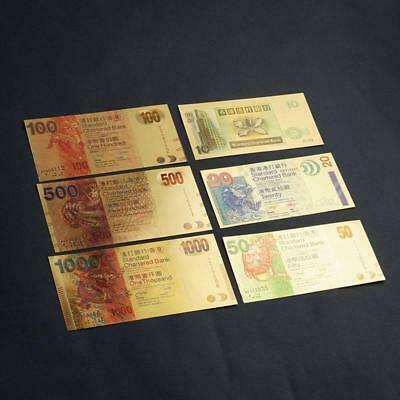 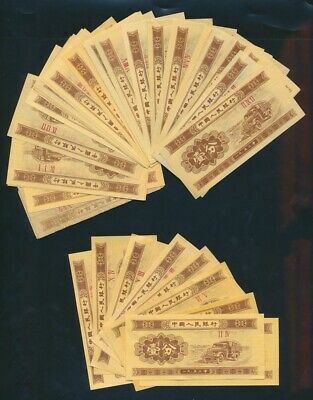 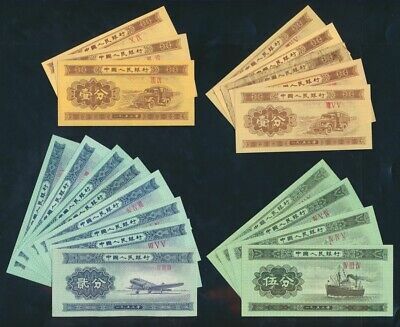 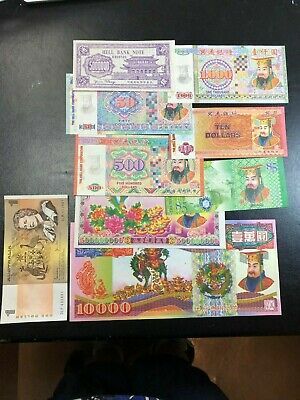 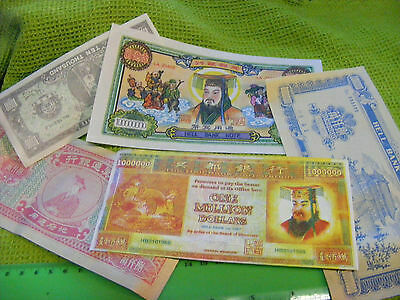 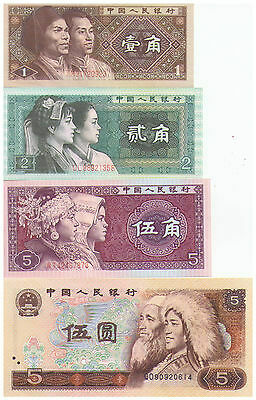 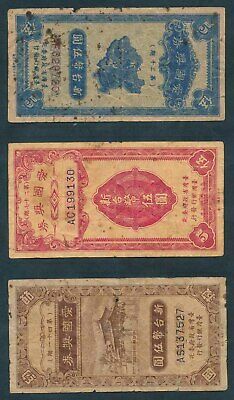 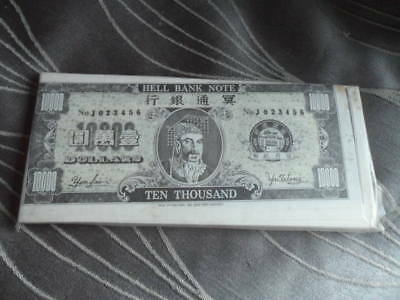 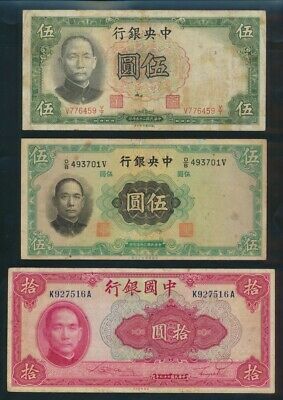 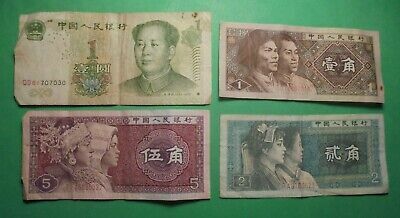 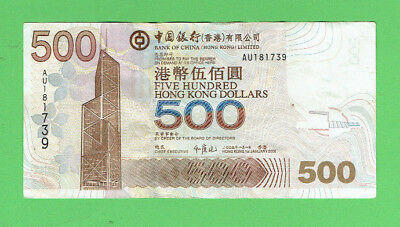 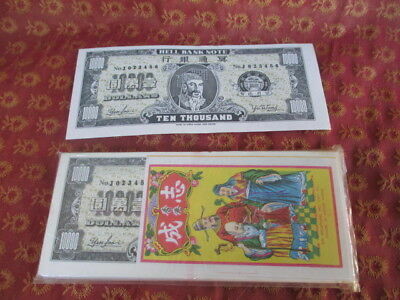 Lot of 9 different Chinese Hell Banknotes ..Temple Money...two huge size. 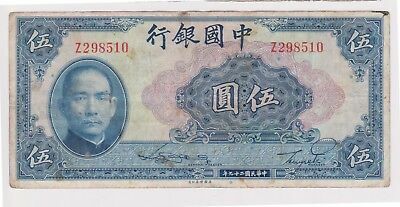 (B).